What a great pleasure it is to play this amazing game! It is all about swiping and getting an incredible experience by saving the Elemelons. 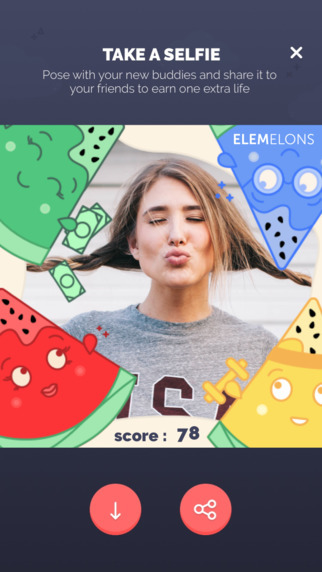 At first, one needs to understand the history behind this interesting game in order to have a clear insight when playing it .Elemelons app game draws its adaptation from an imaginary history background where the world lost its meaning due to the vanity nature of humans. This was after human beings consistently engaged in social network platforms to a point that a curse befell on them. The consequential effect was that the major elements (four of them) turned into melons and got stuck in the space. Besides the guardians of the space crouched and shrunk in fear as they see planets vanishing completely. More so, the elements acquired distinct colors that uniquely identified them and such colors were based on the most common and famous brands found in social networking. Meanwhile, such elements named elemelons are clinging powerlessly in the space. Something need to be done to free their from their current state. This can then ultimately make them resume their initial state before the curse. 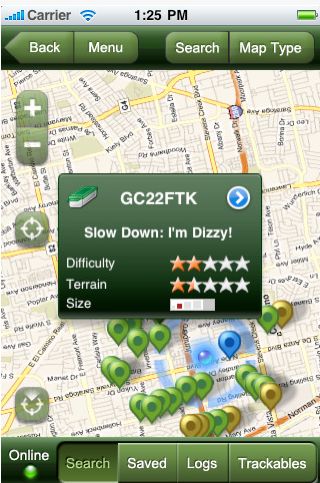 This is what Elemelons app game expects from the player; the capability of rescuing the Elemelons! This incredibly amazing game is brand new in the gaming industry having been released recently on 24th May, 2016. Designed and developed by Andrea Probst, Elemelons offers a great experience and testing the fast swiping skills to save the Elemelons. The player is the only hope for the Elemelons; the spirits and the galaxy cannot break the spell. Thus the player is required to apply the great experience in order to reverse the spell and help Elemelons return back home. 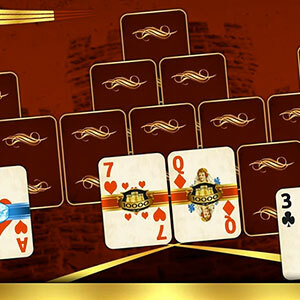 This is one of the easy-to-play games that any ardent player can come across. Designed using user-friendly techniques, the user will be required to only swipe with the aim of getting the Elemelons from their motionless state. At first, the player is required to swipe the Elemelons in the correct direction. The next thing is to take them close to the walls that perfectly match their color and save them.This is pretty simple and interestingly, the player earns great scores once the task is achieved. This task is through ultimately saving all the Elemelons. It is clearly exciting playing a game that offers completely high quality graphical effects boosted by highly defined themes that perfectly align well with the game. This is what Elemelons offers! It makes the game appear close to reality and the exposure of being in the universe environment creates a great feeling for the player. 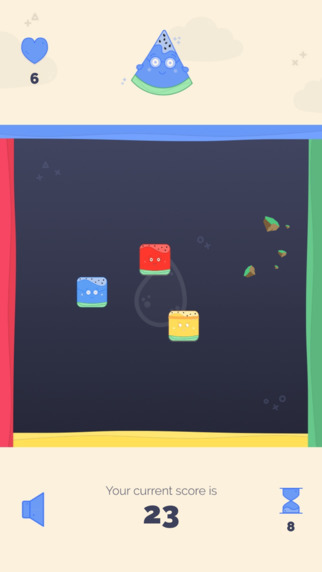 This puzzle game captures and adopts the space environment where the main characters (the Elemelons) are trapped. As a player, one is required to apply the required skills putting in mind the nature of the universe environment. Clearly, this gives the player an amazing experience! With the mission of saving the Elemelons as quick as possible, the player can invite different chosen men to redeem that which had been lost. The time limit present in the game should make them the player to do the mission fast. Actually, the game has incorporated the leaderboards that allow the player to get some replay value in relation to the game. This can always make one to have an unstoppable experience as the game is indeed super-addictive! This is absolutely an interesting feature when playing the game. The sounding effects seamlessly integrate well with the game. 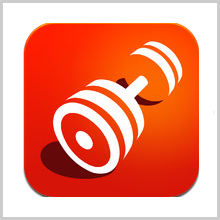 This makes the player to have a lively and fun-filled experience throughout the game. 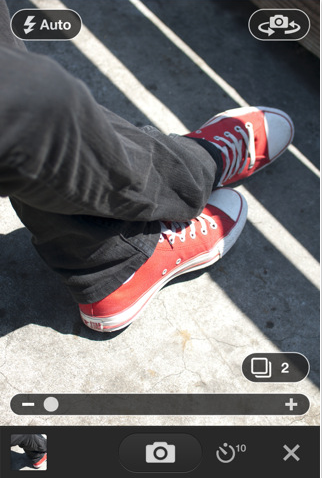 · Absolutely simple to play- just swiping! In summary, this Elemelons app game contains all the amazing features a player can get from a game. From its amazing performance, cool graphics, high quality adaptations and to great display, this makes it worth playing. 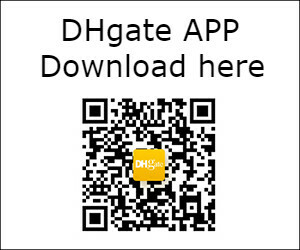 For now, it is available at App Store for free download (size 30.7MB). 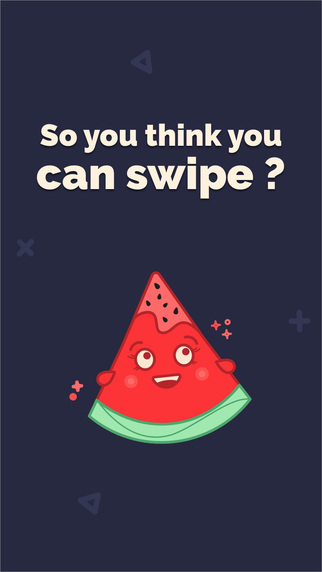 Get into the game and swipe to save the Elemelons!